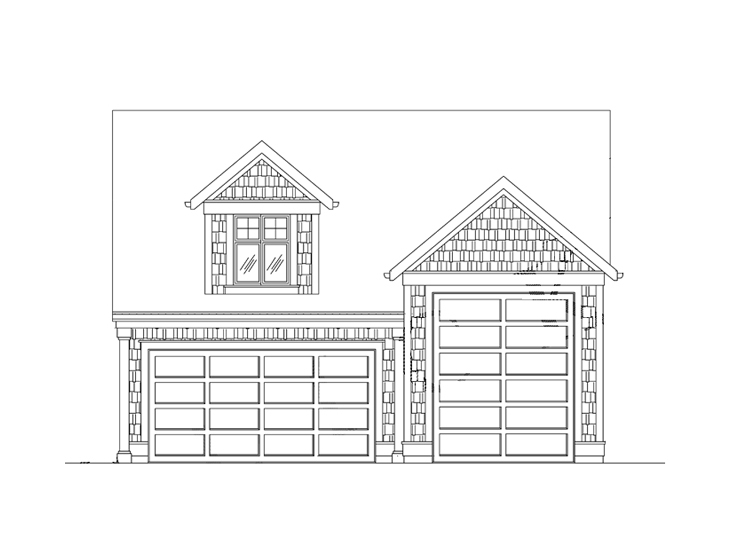 Check out our featured garage plan! This unique garage loft plan boasts Williamsburg styling and thoughtful design. From the exterior, it appears to offer a 2-car garage, but take a closer look. There is more than meets the eye! Due to its unique design, the exterior neatly hides a third bay. With one single bay and one tandem bay, this 3-car garage plan works well for storing three cars. Or use the tandem bay for something larger like a boat and trailer. With the extra deep/tandem bay, this garage loft design is more versatile than you might expect at first glance. Additionally, interior stairs lead the way to the second floor loft, which delivers plenty of storage room or a flexible space that could be finished as a game room, home theater or hobby area. Better still, the full bath makes it the perfect guest suite, offering your overnight visitors a bit of privacy if necessary. Fashioned to satisfy many different needs, this unique 3-car garage design is worth taking a second look. Browse our collection of unique garage designs to discover more one-of-a-kind parking and storage solutions. 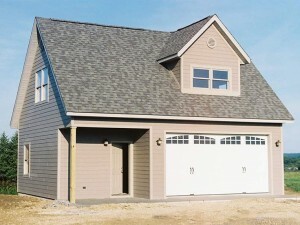 If you are planning to build a 2-car garage plan, why not build a garage that can do more? 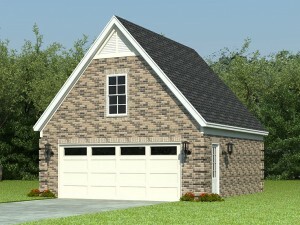 If you have enough space on your lot and your budget that will allow it, consider this featured 2-car garage plan. Not only does it offer a double bay for storage of two vehicles, but it also provides a workshop area, just right for the family handyman. There will always be a place to work on small home repair and DIY projects and enough room to store tools. The main level delivers 700 square feet of usable space and a 9’ ceiling. The upstairs loft is a great place to stash seasonal items like holiday decorations or boxes you might otherwise leave in the basement. The loft area provides 358 square feet of storage space, and the ceiling slopes upward from 4’ to 8’giving you plenty of room to store family treasures and move around. Don’t miss other practical features like the covered porch, coat closet and the easy-to-access interior stairs making it simple to get to the loft without having to worry about rain, snow or ice when trying to retrieve something from loft. If you are in the market for a 2-car garage plan and could use a little extra storage space and a workshop, this garage loft plan with workshop is the ideal solution for your needs. For other possibilities, take some time to browse The Garage Plan Shop’s entire collection of garage plans. 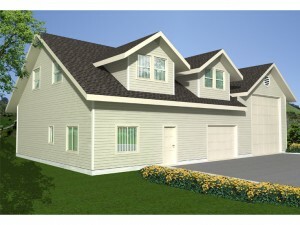 Charming dormers and a siding façade highlight the exterior of this RV garage plan. Whether you are looking to store your RV, motor home, boat or trailer, the extra deep RV bay is sure to satisfy your needs. An extra tall overhead garage door accommodates extra height. A smaller overhead door opens to a garage workshop area offering space to park the family car or convenience when moving large and bulky items in and out of the workshop area. The family handyman will appreciate the shop area delivering plenty of space to work on home repair projects and store tools and supplies. With the full bath and laundry closet, it is easy to clean up after a dirty job either in the yard or workshop. The office and covered patio are thoughtful extras. Upstairs you’ll find a loft suitable for storing holiday decorations or basement and attic overflow. Practical and functional, this RV garage plan with loft storage has much to offer! 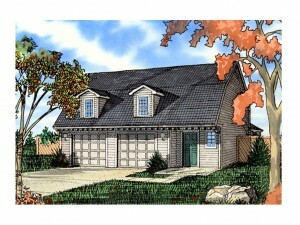 For more information about similar garage floor plans, visit The Garage Plan Shop.